Sometimes good things take a long time to make, like a tasty aged brie or a 12 year old single malt Scotch whisky. But 34 years to drop your first album? That's some time and the case for Ireland's No Hot Ashes (NHA). Begun in 1983, the band was influenced by classic rock bands of the day such as UFO, Ozzy Osbourne, Whitesnake, Journey, Thin Lizzy. NHA dropped a single, She Drives Me Crazy, in 1986. Two years later they were signed to GWR Records (Motorhead, Girlschool, et al) to record their first album. It never happened and the band disbanded in 1990. Fast forward to 2013 when somebody got the brilliant idea to reunite the band for a one-off reunion show. That flame ignited a fire and the band found themselves supporting rock icons like FM, Aerosmith, Foreigner, UFO, and Scorpions. 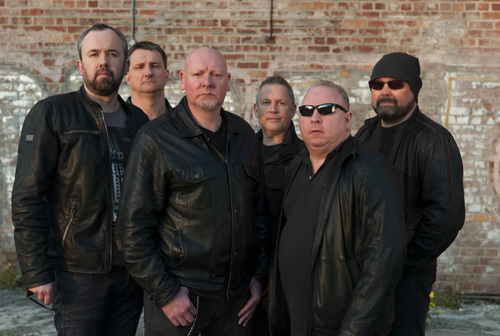 In 2017, No Hot Ashes returned to the studio to record their first full-length album, carefully guided by FM's bass player Merv Goldsworthy and drummer Pete Jupp. While long overdue, the album arrives with some sorrow. Founding member and bass player Paul Boyd succumbed to cancer in the same year. The album is respectfully dedicated to him. Now the preceding was a lot of history, but important history nevertheless. It's the "never give up on your dreams" narrative that most any of us can be inspired by and take to heart. Now on to the music. 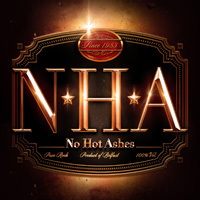 There's no mistaking the No Hot Ashes' sound: pure classic melodic hard rock in an AOR wrapper. NHA has all the proper elements of the genre. Beginning with a strong sense of melody, the band adds twin guitar harmony which flows to thrilling guitar solos, sweet harmony in the vocal arrangements, power and groove from a tight rhythm section, and keyboards for accent and embellishment. After this, all these things are wrapped in simple radio-friendly AOR accessibility. It's melodic hard rock ear candy throughout the album. While these elements are blended with tasteful precision, I found the vocal vocal arrangements and the vibrant guitar lines to be the most notable aspects of the songs. Vocalist Eamon Nancarrow has significant presence, singing melodic and strong, with a touch of smooth soulfulness. Strong lead vocals and accompanying background vocal harmonies will sell any AOR melodic hard rock album, and they are abundant here. Also, if you love epic guitar solos that fill a rocker or a ballad you'll find them here as well. It's all good, and it took 34 years to construct. Honestly, there' not runt in the litter, all the songs are terrific. Fine and catchy melodic hard rock come with Come Alive, I'm Back, and the two fast-paced tunes Jonny Redhead and Running Red Lights. For something more on the AOR side listen for Souls with its smooth groove and sweet vocal arrangement. Something of a ballad, perhaps more an arena anthem, arrives with the lighter Boulders, with its smooth groove, tasty melody, and Nancarrow's soulful vocal presentation. Needless to say, even with 34 years in making, No Hot Ashes' debut is a powerful and entertaining album of AOR melodic hard rock. Don't miss it. Quite recommended. Even with 34 years in making, No Hot Ashes' debut is a powerful and entertaining album of AOR melodic hard rock. Don't miss it. Quite recommended.